Once or twice during my recent visits to schools, confusion has arisen over whether the Digital Competence Framework is a statutory document or not. I've always explained that unlike the literacy and numeracy frameworks, it is not. I've posted below something on this from the National Digital Learning Council minutes from June 22nd 2017. 4.5 The potential for the DCF to be made statutory was raised. At this time, this is considered unlikely and it is hoped that encouraging its use, rather than prescribing it, will support and encourage a more significant change in culture, for teachers to adapt to the new ways of working. Last Monday, Chris Owen (head of digital learning unit, Welsh Government) announced at a Google Leadership Symposium in Cardiff, that G Suite for Education will be included in the Hwb platform possibly from April 2018. For those schools in the room this was great news, many feeling finally vindicated that their Google approach to developing cloud student learning was finally being recognised by the Welsh Government. 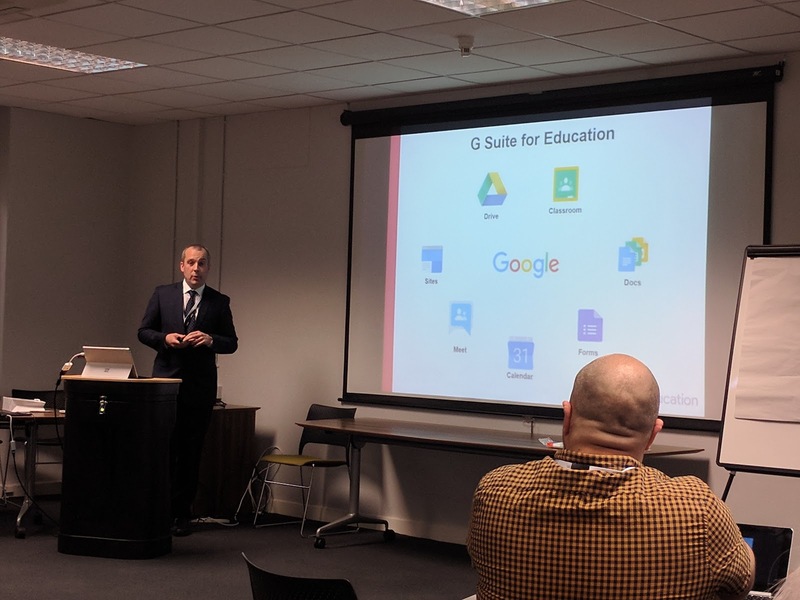 Up until this announcement, several local authorities and regional consortia had made it quite clear to schools in their areas that they didn't want them using G Suite for Education, that basically Hwb was the only show in town and Google "wasn't safe". As you might have picked up from my previous posts, that's fine as long as what is being provided through Hwb are the best set of digital tools and resources that are available. In some instances this has arguably not been the case. Hwb+ being the prime example of an 'online classroom' that certainly didn't live up to the expectations of the majority of teachers across Wales and most probably the expectations of the Welsh Government themselves. I would argue too, that the version of Microsoft Office 365 provided through Hwb, quite possibly hasn't provided the sort of collaborative opportunities that was hoped. My own experience and also that of others, is that it feels 'clunky' to use, prone to glitches and I still think that the browser based tools (Word, PowerPoint, etc) are an after thought. I'm sure Microsoft would rather you used a locally installed version of Office! Microsoft Teams has just been introduced as a way of pulling teacher and student communication and collaboration together but in my opinion it's a bit late coming into the game and again initial impressions are that it's a bit 'clunky'. Google Classroom on the other hand, has been a game changer in the schools using G Suite. Chris Owen particularly highlighted this tool and interestingly Google Sites during his announcement. So what did Chris Owen announce? - G Suite for Education would be included in the Hwb work stream and that they are looking for a possible April 2018 launch. - The version of G Suite for Education available through Hwb, would not include GMail. - Schools that are currently using G Suite for Education could have their data transferred into the Hwb domain. These schools would then sign into Hwb to gain access to G Suite and all other tools and resources (except GMail). - The G Suite 'Admin Panel' would still be available to those schools who wanted it. Some features would not be available but much of the control would still be there, including the ability to add users and control passwords. - Hwb are working with Google to get the core set of apps translated into Welsh. I think I've covered the main points, apologies to Chris Owen if I've missed something. I'm still waiting to see an official announcement via the Dysg newsletter. After having a week to mull this over and I'm sure I'll be coming back to it, here are my initial thoughts. - For schools already actively using the Hwb platform, I think this is really good news. You will now have access to Google Classroom and associated cloud tools like Docs, Sheets and Slides. This should really help you in addressing many aspects of the Digital Competence Framework. - If you are an existing user of G Suite for Education would you really hand over control to Hwb? My feeling is that schools would be reluctant. I spoke to three schools at the symposium and all said that the announcement made no difference to them. They would carry on as they have been and would not be 'handing over the keys'. Schools would lose GMail in particular which is an integral part of communication for them. The Welsh Government want all schools within Hwb to be using Outlook mail through O365, because it has been through thorough 'certifications'?? 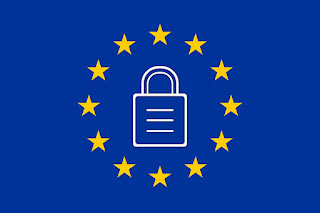 - This issue around O365 Outlook and no GMail would have to be carefully explained to schools, local authorities and regional consortia or they could be again giving the impression that Google is "not safe" for schools to use. - As well as existing schools losing GMail, I would be concerned that some of the functionality would be lost in handing over control to Hwb. For instance, will I still be able to set up my own groups allowing me to easily share documents to all of my teachers or SLT? Something that you currently are unable to do through O365 within Hwb. Ease of use and functionality is one of the reasons schools like using G Suite over the Hwb O365 tools. I really hope this isn't lost during the integration into Hwb. - If, as Chris Owen mentioned, schools can set up users within the Admin Panel, does that mean the new user has access to the whole of Hwb? That would seem strange as currently the platform is mainly only available to those who work in schools (teachers / support staff), pupils and individuals from regional consortia and local authorities. - Nothing mentioned about the possibility of single sign on to many other web platforms that schools may subscribe to, e.g. Giglets, 2 Simple's Purple Mash, Times Tables Rockstars, Reading Eggs to name but a few. Wouldn't this make life much easier for schools if they could login to one place and access all their online tools? Is this too difficult to set up? So, in my opinion, a really positive move by the Welsh Government to include G Suite within Hwb. It's obviously still very early days but many will be watching events closely, with their fingers crossed and hoping that what is eventually delivered meets everyone's hopes.